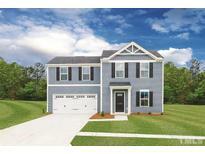 Find Durham, NC New Homes for sale. View Photos, Maps and MLS Data Now! Presale for comp purposes MLS#2250506. 2817. Enjoy the outdoors from the screened porch, fenced yard and covered front porch. Generous storage inside and out! 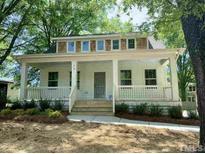 MLS#2250482. 1319. Open floorplan downstairs perfect for entertaining. MLS#2250494. 513. MB with separate sitting area - large 2 car garage - upgraded cabinets with glass panel & roll out trays and trash can - large laundry with cabinets for storage - utility sink in garage & pull down attic storage above garage with lots of flooring - upgraded carpets - don't miss out! MLS#2250285. 3789. Known for their energy-efficient features, our homes help you live a healthier and quieter lifestyle while saving thousands of dollars on utility bills. MLS#2250011. 3037. Excellent opportunity to get into this neighborhood before the prices get too high! Don't miss out! MLS#2249997. 4128. For a limited time with approved lender & attny seller will buy down your interest rate see agent for details. MLS#2249716. 5180. Screened-In Porch & Back Deck! Won't Last Long! MLS#2249744. 4381. Croasdaile Farm - Presale for comps only. MLS#2249449. 2817. Fendol Farms is Brier Creek's newest premier active adult community offering lawn maintenance and resort-style amenities. MLS#2249427. 3789.
gas range. Front AND rear park! 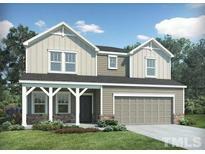 MLS#2249374. 316. Fendol Farms will feature resort-style amenities and low-maintenance home sites which allow you to really experience the over-55 lifestyle! MLS#2249434. 3789. This home is located in the premier active adult community of Fendol Farms at Brier Creek, minutes away from all the shopping, dining, and entertainment the triangle has to offer. MLS#2249440. 3789. This home is located in Fendol Farms at Brier Creek, the area's premier 55+ community, with resort-style amenities and lifestyle features, just minutes from the Triangle's best shopping, dining, and entertainment. MLS#2249472. 3789. The two secondary bedrooms upstairs are nicely sized and share a full, double vanity bath. MLS#2249473. 1369. Known for their energy-efficient features, our homes help you live a healthier and quieter lifestyle while saving thousands of dollars on utility bills. MLS#2248696. 3037. Known for their energy-efficient features, our homes help you live a healthier and quieter lifestyle while saving thousands of dollars on utility bills. MLS#2248764. 3037. Known for their energy-efficient features, our homes help you live a healthier and quieter lifestyle while saving thousands of dollars on utility bills. MLS#2248756. 3037. Presale entered for comp purposes MLS#2248649. 1369. Put in MLS for comp purposes. MLS#2248648. 1369. Presale entered for comp purposes MLS#2248656. 1369. Put in MLS for comp purposes. MLS#2248650. 1369. A 2-car garage completes this home. MLS#2248660. 1369. Presale entered for comp purposes MLS#2248652. 1369.